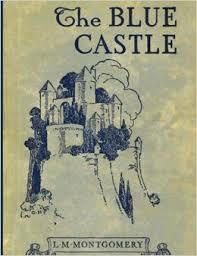 I read my version of The Blue Castle on my Kindle and this was the image that was on it. Valancy is turning 29. All of her life Valancy has been sort of an afterthought to her family. Nobody pays her any attention. Her features are unremarkable. Her personality stifled. Valancy is an old maid and her family lets her know it every chance they get. When Valancy receives some upsetting news she decides that she is tired of living in fear. This is when Valancy really comes to life! Valancy's family does not know what to make of her when Valancy starts speaking her mind, doing things she never would have done before, and no longer being the wallflower her family expects her to be. Valancy further scandalizes her family by becoming involved with the local bad boy Barney Snaith. Valancy has never believed the rumors that fly about Barney so has no problem being seen around town with him. Having made up in dreams all of her life her Blue Castle, Valancy is finally living a life of freedom and building her own Blue Castle that is made of more than just dreams. I thought The Blue Castle was a beautiful story! I loved reading about Valancy shedding her fears, rebelling against family prejudices and finally becoming the person she truly was meant to be. I am ashamed to say that this is the first L.M. 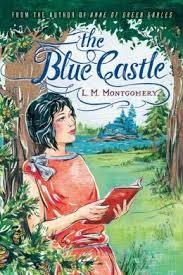 Montgomery book that I have read other than the Anne of Green Gables series. I should have known that the author that could write the Anne books could also write other stories that were just as meaningful and enjoyable to read. 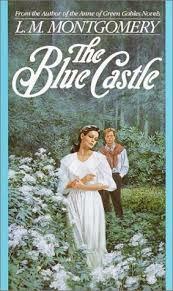 If you haven't ventured beyond Anne, then I suggest starting with The Blue Castle. A sweet story that is sure to cause the reader to want to shed a few fears of their own! This one captures what color Valancy's hair was, but I really feel like the cover is a bit juvenile for the story.